The Yeast Diet (also known as the Candida Diet) has been used for years by naturalists as a way to detox the body of overstocks of yeast that can come from certain medications, processed foods or from exposure to others with yeast overgrowth. The food we eat plays a major role in our body’s delicate balance between maintaining healthy levels of Candida yeast and prevention of harmful yeast overgrowth. Eating plenty of yeast free foods in conjunction with a good anti-fungal supplement is vital to the success of a yeast diet cleanse. 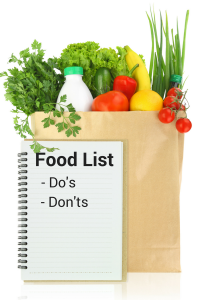 Below is a general Candida Diet food list to use as a guideline for yeast free eating. Individuals with specific sensitivities or those with chronic conditions may need to avoid a larger range of yeast free foods in order to see results. Substitutions can be used effectively to avoid items based on your own individual sensitivities (substitute cauliflower or broccoli for potatoes etc.). For recipes specifically designed to follow the rules of the yeast free Candida Diet visit the yeast free recipes page. 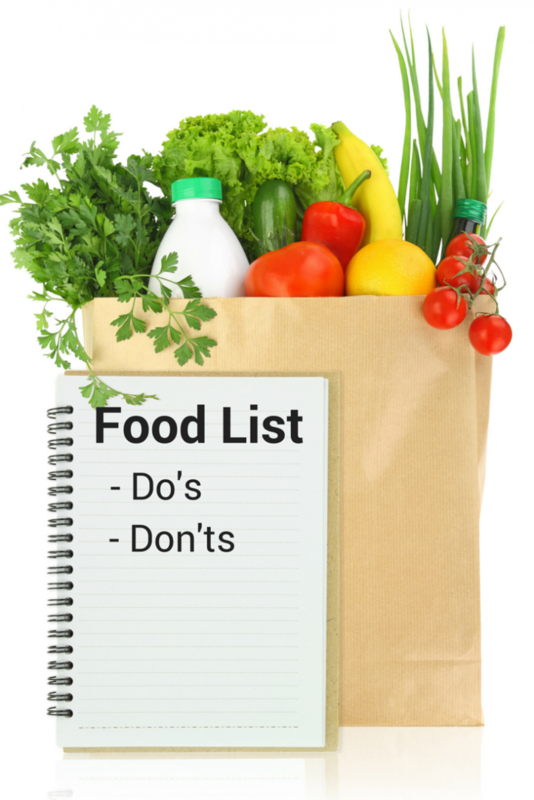 The food items listed below are the most common food avoidances for the general Candida Diet. Fruit (due to high natural sugar content) – includes whole and dried fruit, fruit juices and concentrates. Yeast – in any form. Vinegar and Vinegar Products (mayonnaise, mustard, salsa, dressings, etc.). All Dairy – including milk, cheese, yogurt, ice cream, powdered milk, milk solids, milk protein, butter, lactic acid, lactose, casein, etc. (Eggs are not dairy). Alcohol – in any form (including extracts and wine). Fermented Products – such as miso, soy sauce, tempeh, sauerkraut and pickles. Mushrooms – these are a fungi and should be avoided. Hydrogenated or Partially Hydrogenated Oils – including margarine and shortening. Spicy Seasonings – to be used sparingly (chili, cumin, curry, cinnamon, pepper, etc). Peanuts and Pistachios – these are subject to mold growth and should be avoided on the Candida Diet. *Vegetables – especially dark green leafy ones. Hormone Free Meat (whenever possible). Seeds and Nuts – including nut butters like sun butter or almond butter. (Excludes peanuts and pistachios). *Whole Grains – like brown rice, barley, millet, and buckwheat. Herbs – garlic (acts as an anti-fungal agent), basil, thyme, oregano, parsley, etc. Olive Oil (Light olive oil is recommended because it is better for use at high cooking temperatures). * Starchy vegetables such as potatoes, corn, beans, etc. should be used in moderation (3-4 times per week) as part of a balanced diet. These items contain many essential vitamins and nutrients that the body needs and should not be excluded completely unless there is a particular sensitivity or if the Candida infection is particularly severe. * Grains including wheat will need to be avoided if you have a gluten sensitivity. Find my gluten free bread recipe and flour mixture and use it for substitutions as needed. Still need some support? We have a Facebook page setup to share information, recipes and answer questions related to yeast free foods and yeast free living. Join thousands of others who share ideas and advice related to their own personal experiences and Candida Diet success stories by visiting our Facebook group!